Looking for an Award Winning Custom Home Builder? Welcome to Devrite – Builders of exceptional luxury homes for discerning clients. Stylish, sophisticated and contemporary, we can offer you a unique design to suit your lifestyle and match your changing needs. At Devrite we realise we are not just building you a house, we are creating a home for you and your family to create your life in. We pride ourselves on uncompromising quality, attention to detail and personal service. In fact we stake our reputation on it. 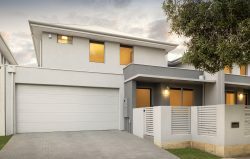 Proudly West Australian, we understand the unique nuances of the Perth lifestyle and climate, and work closely with you to create a home of beauty and functionality. We focus on developing a relationship with you to make your vision of your dream home into your reality. 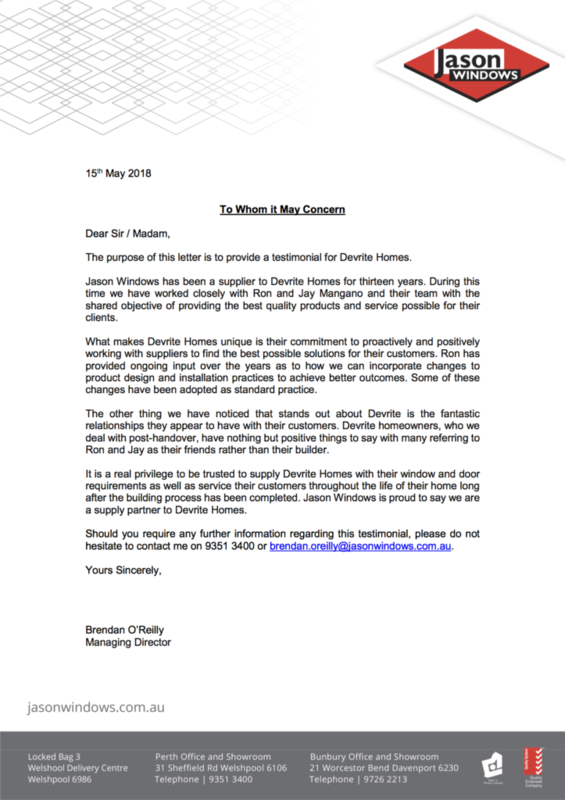 Please enjoy exploring our website and contact us to find out more about Devrite’s specialised approach to building homes, which you can truly be proud of. May we suggest you read in detail our client testimonials to see if our clients think we are as good as we promise and please also look at the many awards we have achieved in recent years from our peers. It costs nothing to meet with us and go through your house building plans no matter what stage you are at. This way you can fall in love with what we can do for you and know that Devrite can make your dream home a reality with up front honest budgets and timelines. Graham and I can’t begin to thank you enough for all that you have done to make the building of our house as stress free as possible. When we started this journey 12 months ago on the other side of the country, it was a very daunting prospect. Not only was this emotional as I had grown up there but we were making such a huge commitment to building this house and really had no idea what to do. We had not built before and had no idea how the process would go. Dean reassured us that we had made the right choice in using you as our builders and he was certainly right. Not only have you guided us through the whole process, made suggestions when we had no idea about what to do, and made this one of the best experiences we have ever had. Again, thank you for all your hard work, putting us at ease, building us an amazing home and most of all being the kind, honest, decent people that we have had the pleasure of dealing with. After calling in at the office yesterday I could not help but reflect once again on how blessed we are to have you building our home. Your care and attention to detail is far greater than we could have ever hoped for and your willingness to patiently help us through each decision so so much appreciated. Thank you Ron for getting the house locked up. An exciting stage to reach. Cannot wait to see the progress which will be possible now we won’t have to spend half our time running to tile and flooring stores. Thank you also to Mark for all his friendly help. It is always a pleasure to call at the office. Looking forward to hearing the reaction of the folk on seeing their new home at Litchfield Street. They must have been thrilled. I can’t imagine what that day will be like for us when its all finished. I have just opened the computer to send you a message and found all your emails and information. You are both amazing! Thanks so much for coming up yesterday and being so generous with your time. We really enjoy and appreciate being able to talk about all these things with you and to get your advice. I cannot believe how different our “ building journey” is to the experience of others we know and hear about. I thank God for you both and the way in which we came to know you.